Hopscotch Adoptions, Inc. based in High Point, NC has awarded Kybele a grant for $900 to aid a second clinical teaching team in The Republic of Georgia. Hopscotch Adoptions, Inc. (“Hopscotch”) is a not for profit, international adoption agency authorized in New York as a child-placement agency. Hopscotch is dedicated to helping children in need of families, through both humanitarian efforts and through adoption into permanent, loving homes. Hopscotch should be Hague accredited by the Council on Accreditation in early 2008, and thus follows both U.S. and Hague Convention policies and regulations regarding international adoption. Hopscotch is a collaborative undertaking by experienced professional and volunteer child advocates. Each partner working with Hopscotch has been involved in orphan relief and adoptive placement of children, most are adoptive parents as well. Hopscotch represents their commitment to placing orphaned children from the Republic of Georgia, Armenia, and, most recently, the Ukraine, with loving families in the U.S. and abroad. 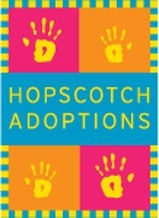 Visit the Hopscotch Adoptions website.